Clinova is a UK based consumer healthcare company focused on developing, manufacturing and marketing healthcare products and medical devices. They got in touch with Garment Printing as they were in need of a number of printed T-Shirts for an event. We decided that Vinyl transfer would be the best printing technique to use as they wanted their O.R.S Brand logo on the back and front of the brightly coloured yellow T-Shirts. 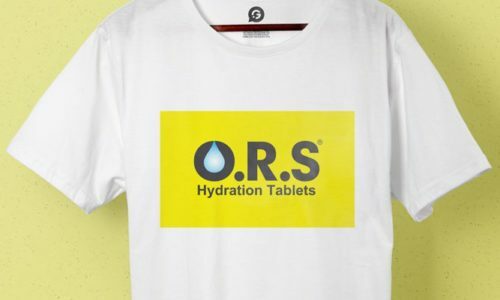 “I am happy to say that Garment Printing turned our order around in a very short time span to support our O.R.S Brand. We were very pleased with the quality of the T Shirts and the printing and the delivery was earlier than we had been told to expect. I would like to say that it was good planning but our corporate logo colours of black on yellow really stood out at the event in Ilkley N Yorkshire and yellow turned out to be the official colour in Yorkshire for the Tour de France Event!